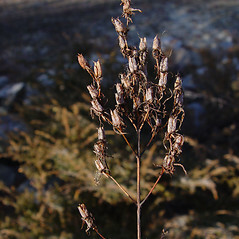 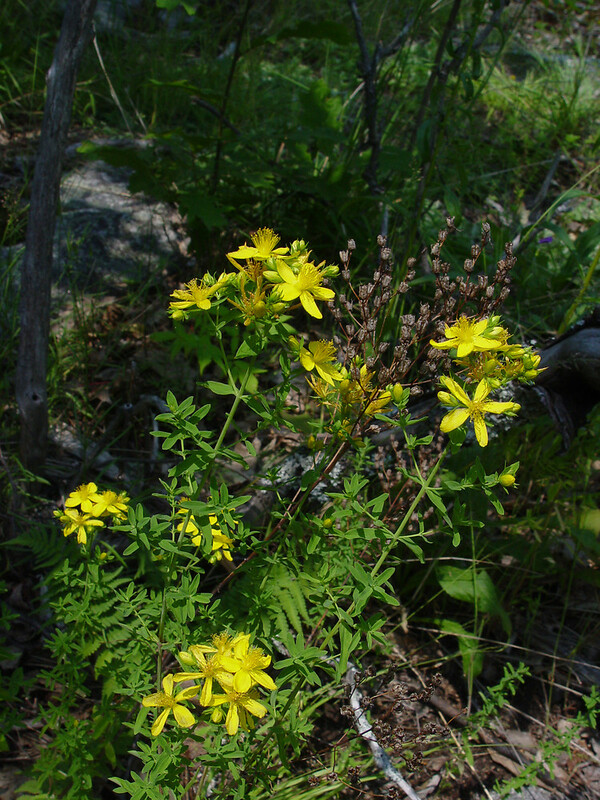 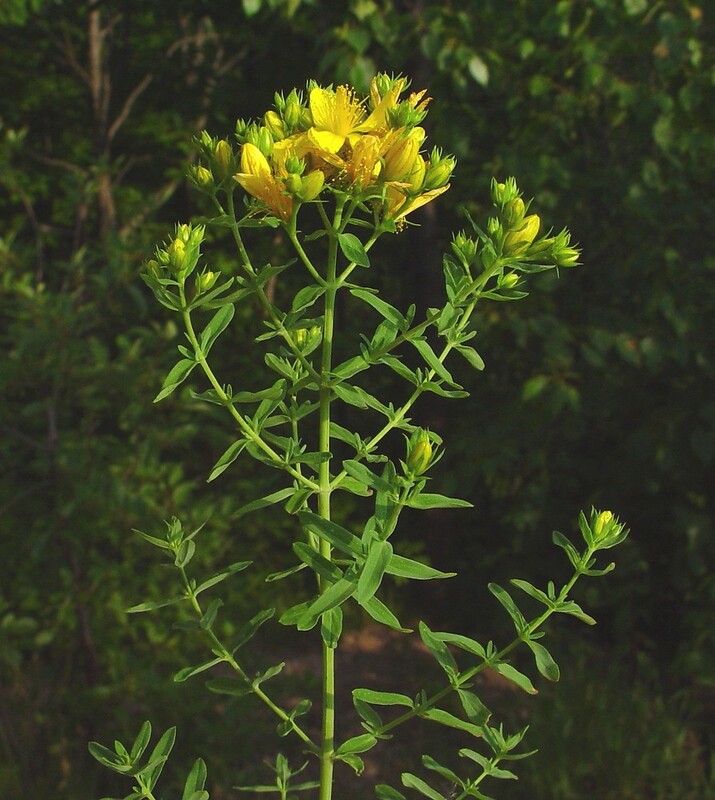 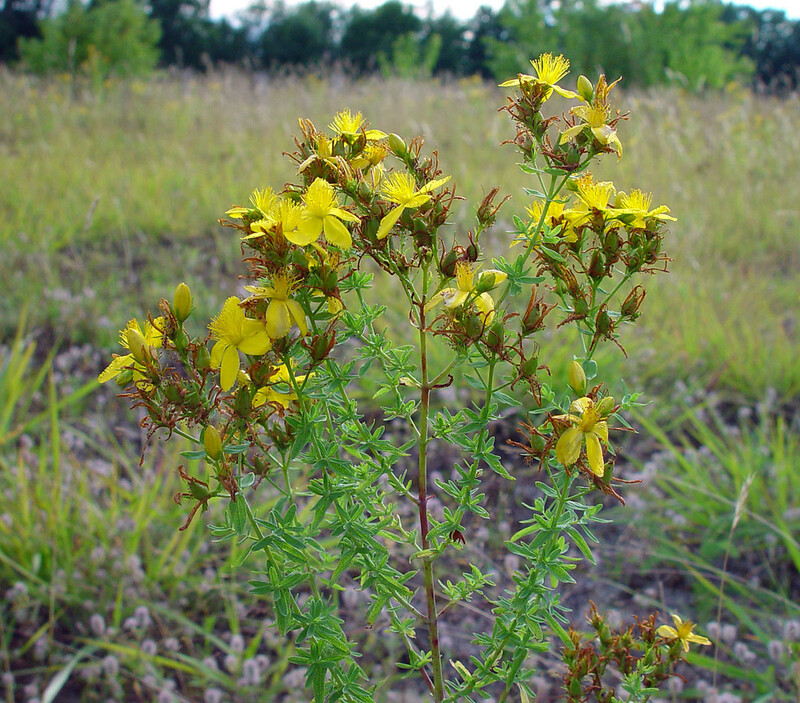 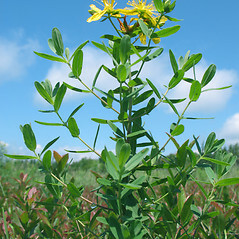 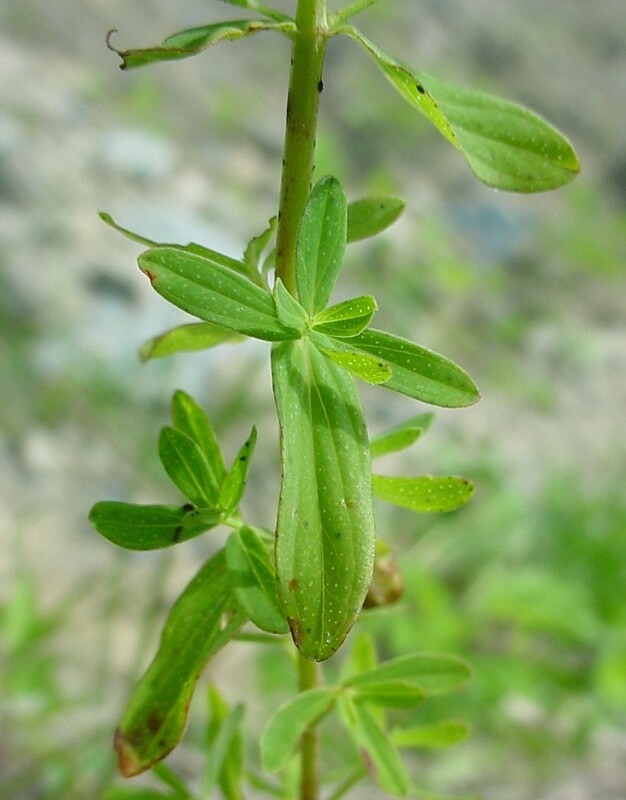 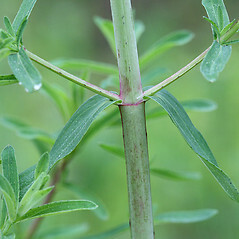 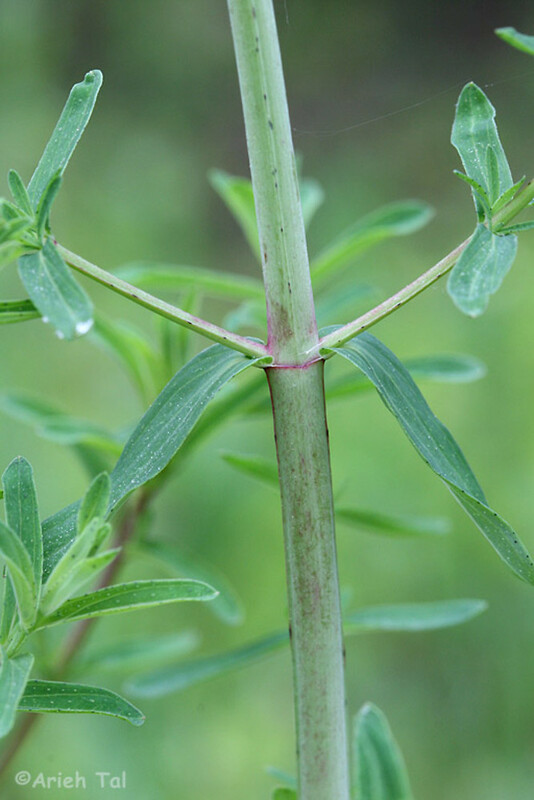 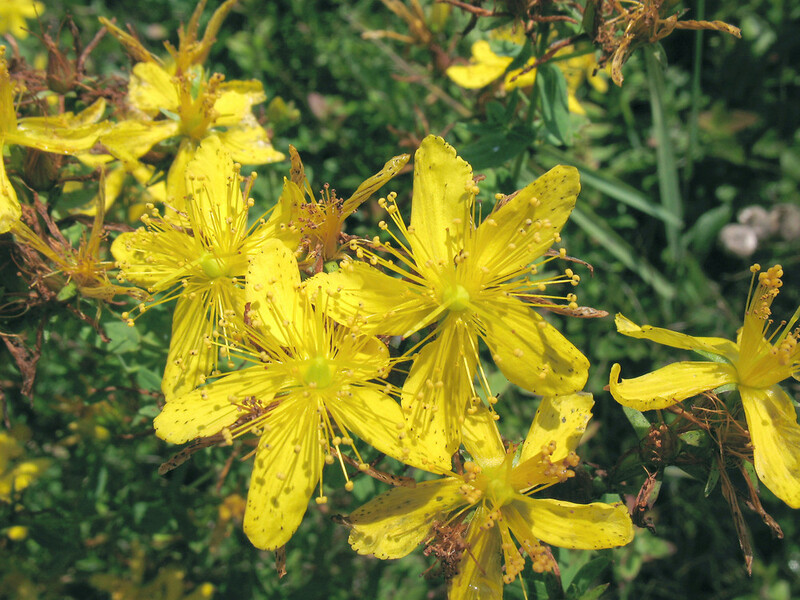 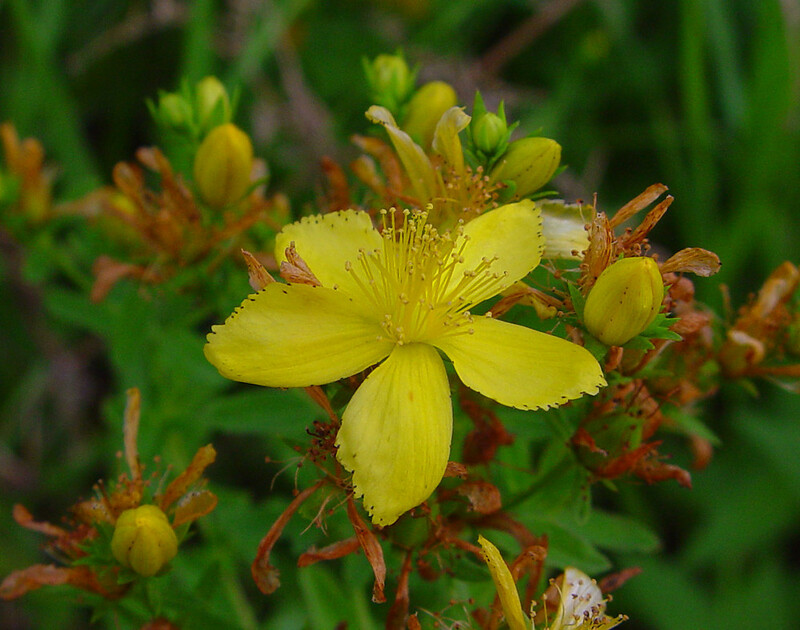 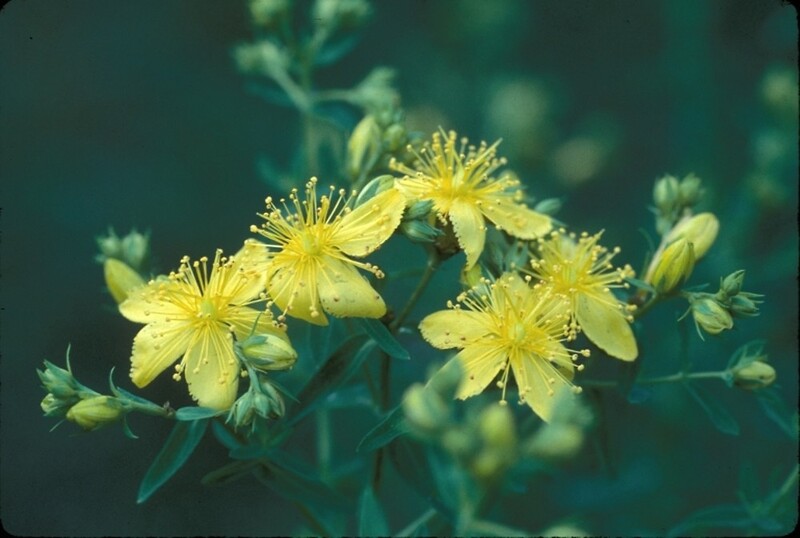 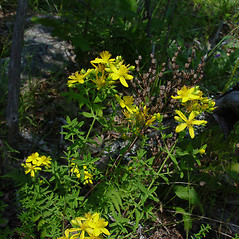 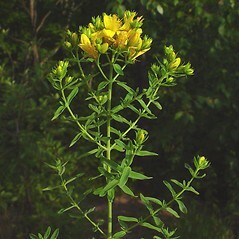 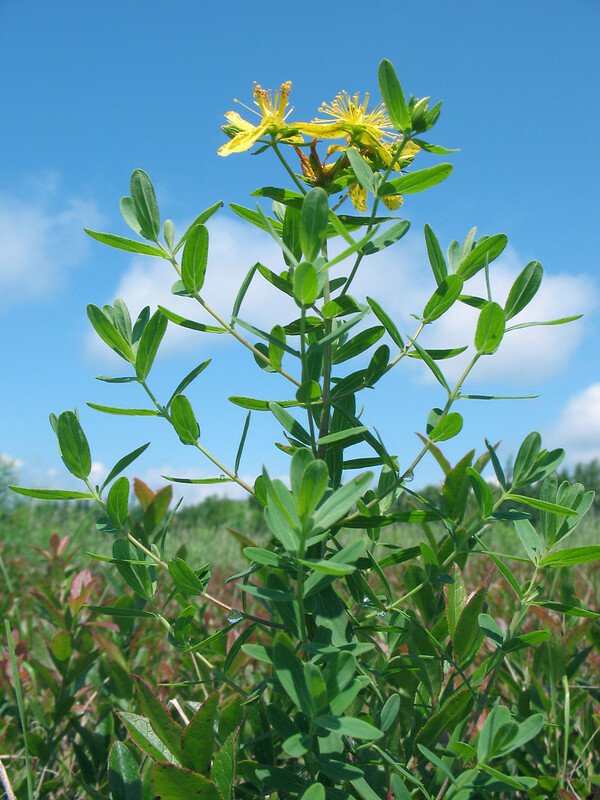 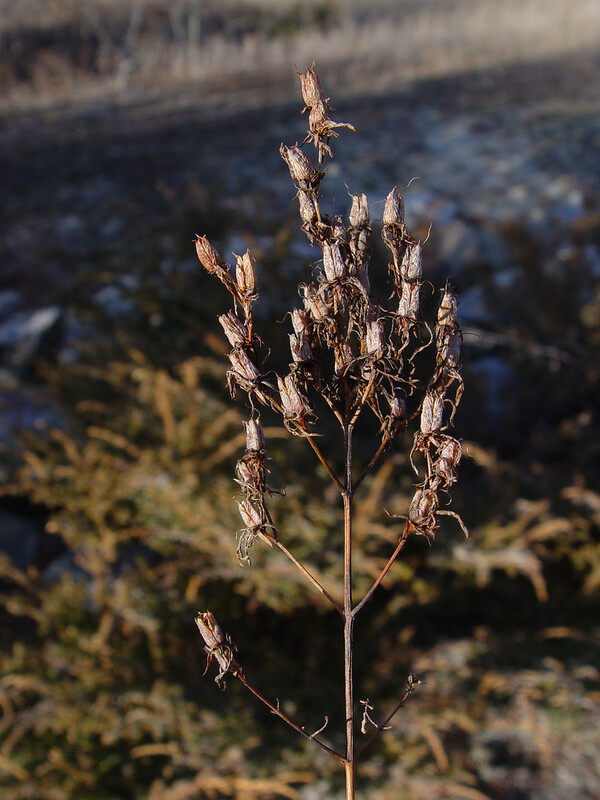 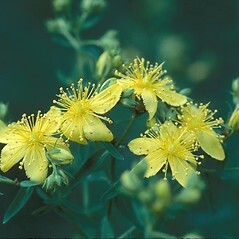 Native Americans used common St. John's-wort to treat a variety of medical conditions, and it is widely used today in herbal medicine as an antidepressant. 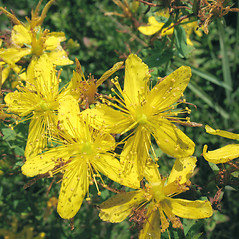 petals conspicuously dotted and streaked with black, sepals with few or no black dots and lines (vs. H. perforatum, with petals dotted with black only near the margins and sepals with abundant black dots and lines). 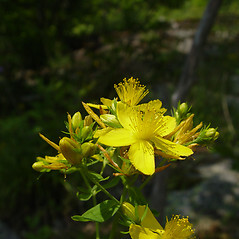 Our subspecies is Hypericum perforatum L. ssp. 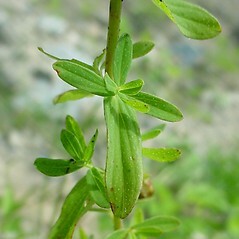 perforatum. 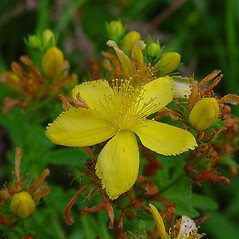 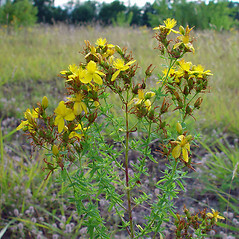 common St. John’s-wort. 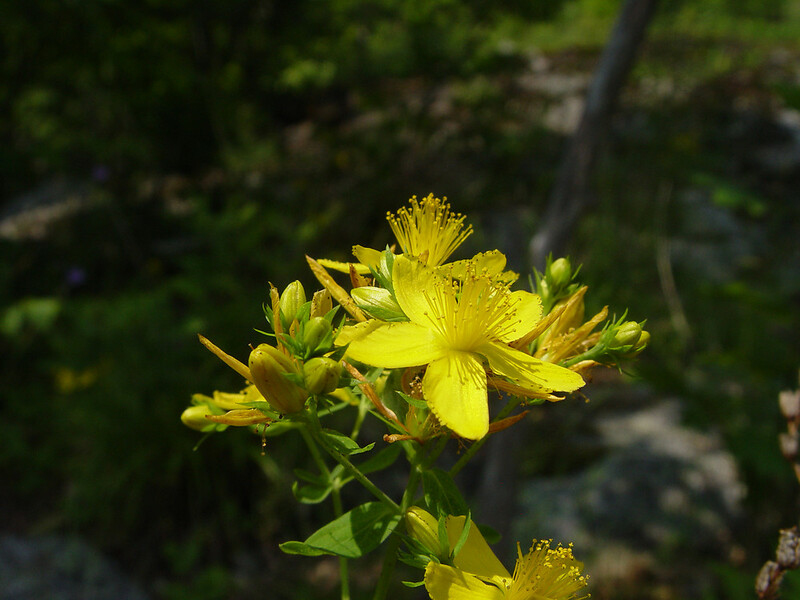 CT, MA, ME, NH, RI, VT. Fields, roadsides, open banks, railroads, shorelines, waste areas.